Trekaroo’s gone buck wild over Dude Ranch Vacations! After visiting the best dude ranches across the country for families, we’ve decided that ranching like a dude is just about the the best vacation a family could dream of. Yes, even our Disney obsessed kids have declared dude ranching is up there side by side with the “Happiest Place on Earth”. “How could this possible be?”, you ask. Well, then….let’s begin right there. What’s so Fabulous about Dude Ranch Vacations? So, pack your cowboy boots and hat and get ready for the greatest family vacation you can imagine. We’ve got the scoopo on the best family-friendly guest ranches, an amazing 1 week giveaway, and the largest discounts you can find to book your next vacation. 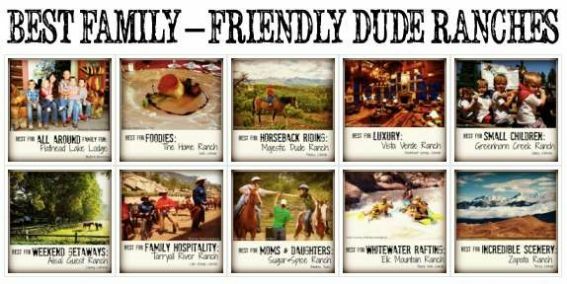 Many thanks to our sponsors for allowing us to bring you this Dude Ranch Family Vacation Guide and offering fantastic deal just for Trekaroo families. Top50Ranches, the leading resource for travelers seeking ranch vacations, Flathead Lake Lodge, Tarryall River Ranch, Majestic Dude Ranch, Zapata Ranch,The Sugar & Spice Ranch, The Home Ranch, Elk Mountain Ranch, and Greenhorn Creek Guest Ranch. So Many Dude Ranches, Which One Is Best? There many different Dude Ranches, are they all the same? Well, it’s true, no two dude ranches are the same. Depending on what you’re looking for as a family, here are our recommendations for Dude Ranches that are Best for Your Family. We’ll get you the skinny on which ranch is best for families with young children, which is best for just a weekend getaway, or which one foodie moms and dads will love. 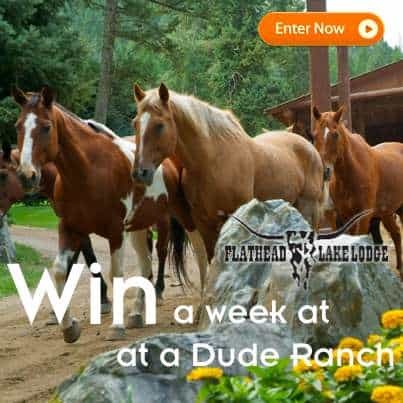 Have you taken a vacation at a Dude Ranch? Tell us about it! Earn up to $25 in Amazon gift cards through Trekaroo’s Family Travel Rewards – a limited time program we’re bringing back to celebrate our birthday. There’s no better time to make that Dude Ranch a reality because’ we’ve negotiated some awesome deals just for Trekaroo families with our favorite Dude Ranches. You’re not gonna find these on your regular discount travel booking site that’s for sure. How does 15% off your whole trip or a free rafting trip sound? 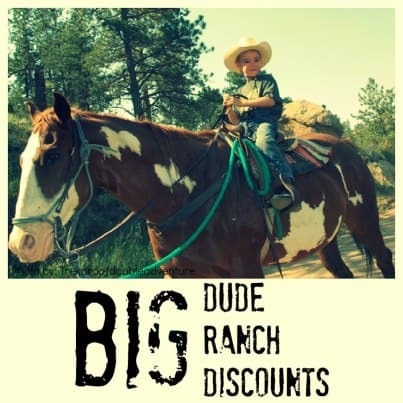 Big Dude Ranch Deals and Discounts – find your perfect ranch then book it. Awesome vacation guide for family travel. I love reading your post.